What is Email Security? 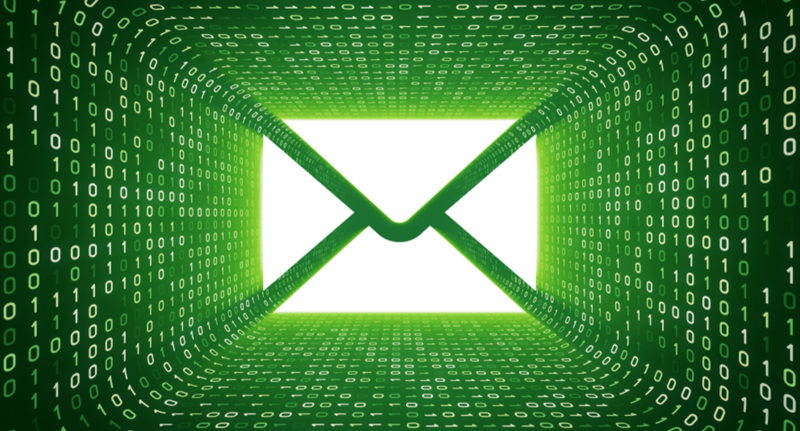 | Why Email Encryption is Important? Email security refers to the collective measures employed for safeguarding the access and content of an email service or account. It allows an organization or individual to guard the complete access to one or more email accounts/addresses. An email service provider uses email security in order to secure subscriber email accounts and data from hackers (in transit and at rest). Email security has thus become an essential requirement for all businesses because of the increasing threat of virus spam, phishing and identity theft, hackers, and also the need to secure business information. 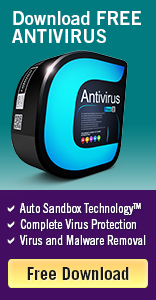 After a virus gets installed on your system, it can affect master boot records, encrypt files, remove sensitive information, and even restrict the users from accessing the system. The necessity to secure emails is thus the need of the hour as emails now play a vital part even in our daily lives. Hence, you will need an efficient email security system to stay ahead of email threats. This blog will begin with a brief discussion about email encryption and its importance, followed by a note on email security best practices, and then conclude with a description on an advanced email security solution for your enterprise or company. Emails sent within a secure company network could also get be intercepted by other users, including your login credentials. Encryption thus plays a key role in rendering the content of your emails unreadable as they get transmitted from origin to destination. Even if someone intercepts your messages, they will not be able to interpret the content. Hence, email encryption deals with encrypting or hiding, the content of email messages as part of a measure to protect potentially confidential data and prevent the data from being read by anyone other than intended recipients. Key Reasons Why Email Encryption is Important? Forging regular email messages has now become a regular feature and trying to prove that a particular person had sent you a particular message is just not possible. This means that the person you suspect can actually deny sending you the forged message. Email encryption will prevent such individuals from using your email for the purpose of contracts, business communications, electronic commerce etc. With the growing number of threats, no one wants to send unencrypted emails. Failing to encrypt an email will allow strangers to access the information contained in your mail. In a business, your competitors will actually use such information against you. Hence, it is highly recommended that you start employing email encryption to avoid risks that could destroy your reputation and also hinder the growth of your business. All messages sent by you are stored on Simple Mail Transfer Protocol (SMTP) Servers – outgoing mail servers. The backups of server disks incorporate text copies of your messages and these backups can remain there for years. Hence, an individual who has access to the backup files will actually read your messages and also use the information within it to your disadvantage even when you assume that the messages have been deleted by you. With email encryption, you will be able to protect confidential data such as banking account number, social security number, credit card number etc. If your email is not encrypted, hackers will be able to get hold of your personal data and then use it for their own secret motives. Email encryption is thus important in order to avoid leakage of such vital details. In an identity theft situation, an individual who succeeds in getting the username and password that you use to access your email servers, he/she will be able to read the emails which you send and also send false email messages on your behalf. This is why you need to go for email encryption. Only after confirming that the website is legitimate, should you go ahead and enter your password anywhere. Password reset links are likely to be part of a phishing attack if you are not logging into your account and you have not been requested to reset your password. Make sure to constantly remind your team about the importance of email security. This should be their topmost priority. Your team will have to be educated on the common phishing attacks and you will have to regularly share updates and reminders with your employees. Attackers will target your employees only if they know their email addresses. Refrain from publishing non-essential contact details on your website or on any public directories, like physical addresses or phone numbers. These details will actually help attackers engineer an attack. With phishing attacks on the rise, employees should instantly report to their team head or managers if they happen to come across strange addresses on emails they receive or even if they receive unusual links via emails. If you get a hyperlinked text, first hover your cursor over the link to check the destination URL, which should be displayed in the lower corner of your window. This is a necessity because hackers can actually disguise a malicious link as a short URL. In a company, employees should become doubtful if they receive an email from an unknown sender. They should never click on download attachments or links without validating the source first and then establishing the legality of the attachment or link. Attachments are increasingly dangerous as they could contain malware capable of compromising the network or device. The best practice for email security is to employ proper email encryption measures like regularly encrypting all messages you receive and send. Remember that by encrypting only email messages holding sensitive data you are actually raising a flag to hackers by making it easy for them and pointing them directly to the messages that are most likely to contain sensitive, valuable information. Hence, it is essential for you to encrypt all email messages as a standard practice making it difficult for hackers to access your email account. This is true because the task of decrypting email messages one-by-one in order to search for just one message containing sensitive data is an annoying task that even the most skilled hackers may feel is not worth the effort. Having said this, its time for you to upgrade the email security for your enterprise or company with a more sophisticated email security software like Comodo KoruMail – an enterprise antispam and threat prevention appliance. Comodo KoruMail is an enterprise antispam and threat prevention appliance that provides excellent email security by using a sophisticated range of antivirus scanners, spam filters, and content analysis engines in order to prevent unsolicited emails from ever entering your network. This solution is compatible with all key Mail Transfer Agents (MTAs), and integrates effortlessly into existing email structures besides being scalable to thousands of users.